Sat., Jan. 19, 2019, 12:06 p.m.
Moscow High School’s graduation rate in 2018 topped state averages, though it dropped 10 percentage points from 2017. The state’s most recent data show MHS’s rate reached just over 84 percent last year. While the school is still ahead of most in the state, last year’s rate represents a dip from previous years – 95 percent in 2017 and 93 percent in 2016. The Idaho State Department of Education announced Thursday that Idaho’s graduation rate – the percentage of high school students who graduate within four years – reached more than 80 percent in 2018, continuing an upward trend that started three years ago. Perryman said state and national assessments are helpful in ascertaining the position of the district in comparison to past years as well as to other districts and states, but they don’t effectively illustrate the state of a school in a given year. He said trends in these data are worth monitoring and sharp spikes or drops would be reason for concern, but it is important to note graduation rates are just one of a suite of metrics deployed to assess schools. According to a news release from the SBOE, 43 percent of Idaho schools had a graduation rate of 90 percent or higher, including Latah County high schools in Troy, Genesee, Kendrick and Deary. However, graduating class sizes for those schools are usually less than 30 students, whereas MHS graduated 154 students out of a cohort of 183 in 2018. Moscow Superintendent Greg Bailey said one reason the graduation rate is a flawed metric for school health is because it does not consider graduates who take five years to complete high school. 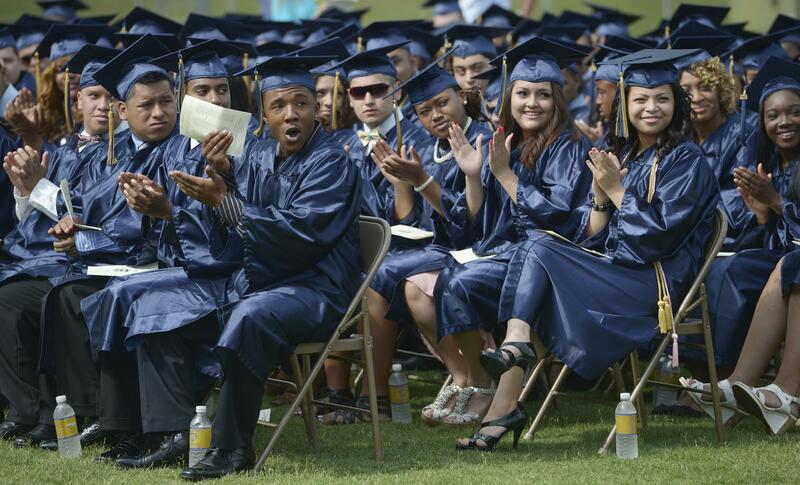 While the state started monitoring five-year graduation rates last year, the data are considered separate from the four-year rate. Bailey said fifth-year students should not be considered dropouts if they are continuing their schooling. Bailey said this is one of the reasons the district has been transitioning from a traditional education system to what is called “mastery-based.” Bailey said traditional education systems encourage uniformity in instruction and time invested, meaning children receive the same instruction across the board and are given the same time to learn the lesson. With children learning at different rates, Bailey said this system accepts some children will excel and others will be left behind. He said a mastery-based system flips that dynamic on its head – seeking to invest the time and resources necessary to ensure every student masters the lesson. Bailey said traditional education was created in an industrial age and predictably resembles the assembly line. He said the problem with such a system is it discounts the individuality of students, grinding them down into raw data that sometimes misses the personhood of these children. These data, however, often have a dramatic effect on how states assess the needs of these schools and figure into a larger conversation regarding education funding strategies. Published: Jan. 19, 2019, 12:06 p.m.